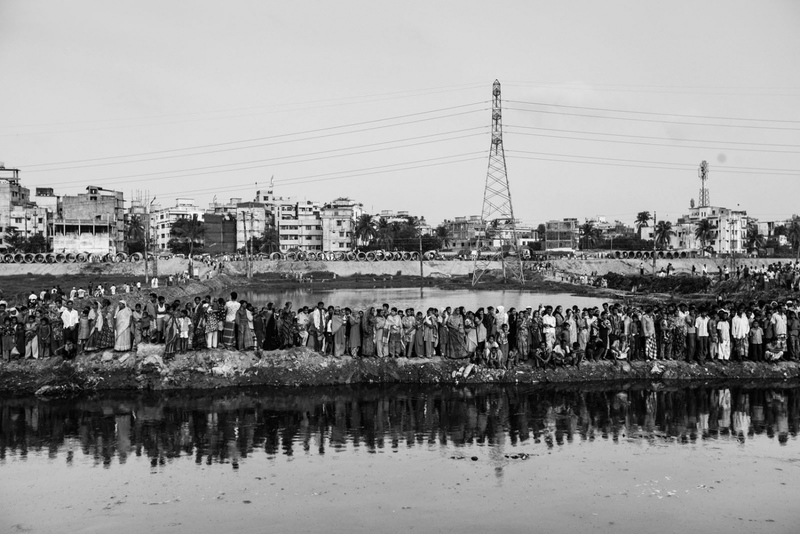 People gather at a site to watch a rescue operation, after a five-storey building collapsed off its base, in the Begunbari area in Dhaka. The building collapsed, flattening several adjacent homes and killing at least 9 people, with dozens more trapped under the rubble, police and witnesses said. At least 50 people were injured in the collapse of the building, most of them are the garment workers and their relatives. 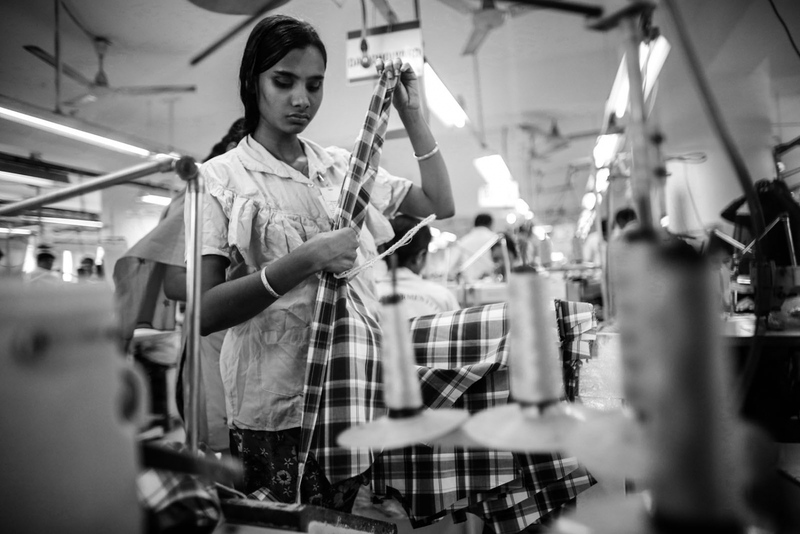 More than four million people, mostly women, work in Bangladesh's clothing sector, which is the country’s largest employment generator, with annual exports worth $21 billion. Workers sort clothes at a garment factory in Savar. 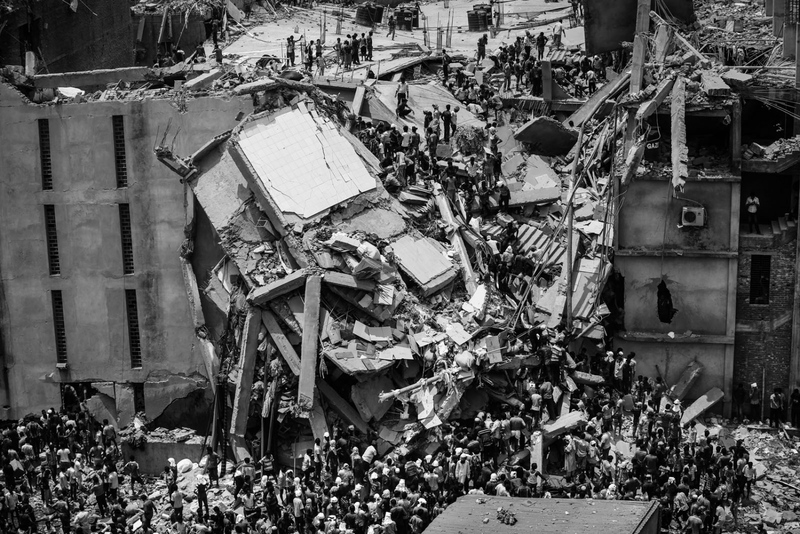 The April 24 collapse of the Rana Plaza complex, built on swampy ground outside Dhaka with several illegal floors, killed 1,132 workers and focused international attention on sometimes lax safety standards in Bangladesh's booming garment industry. More than four million people, mostly women, work in Bangladesh's clothing sector, which is the country’s largest employment generator, with annual exports worth $21 billion. 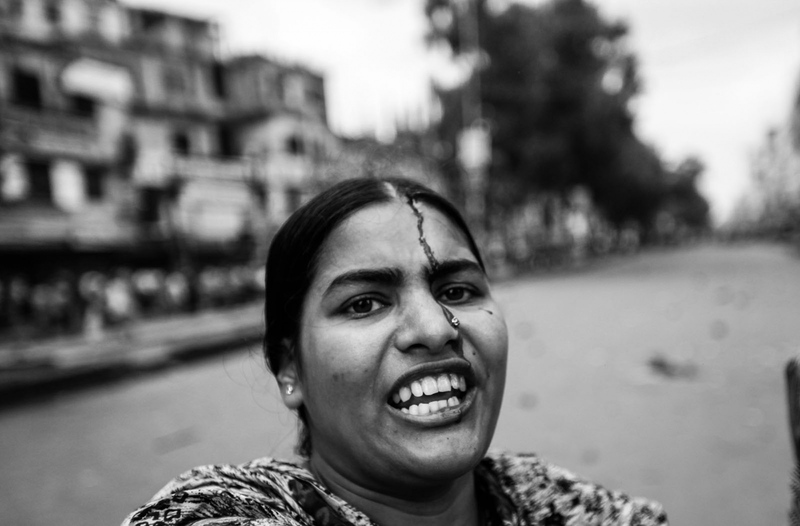 Rahela Akhter, a garment worker, tries to resist beating from the police during a protest in Dhaka. 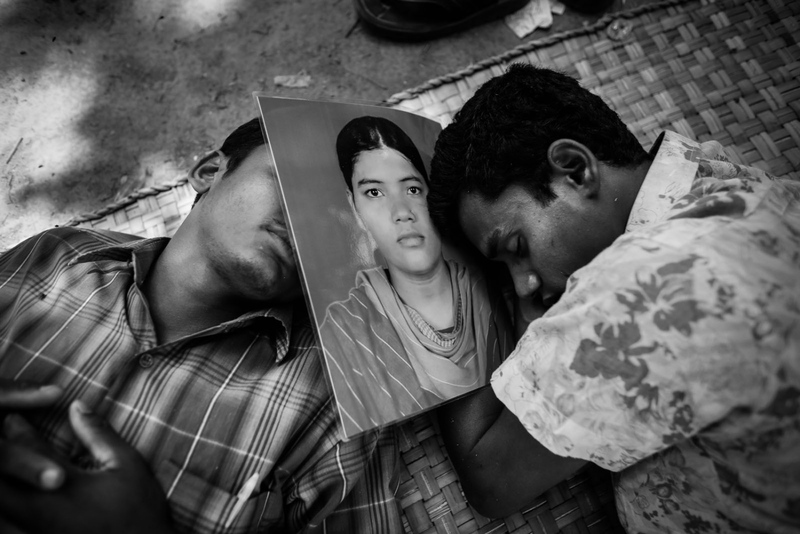 On 30th June, 2010, 80 garment workers were injured when they took to the streets demanding better pay and the police tried to ‘contain’ them as ordered. 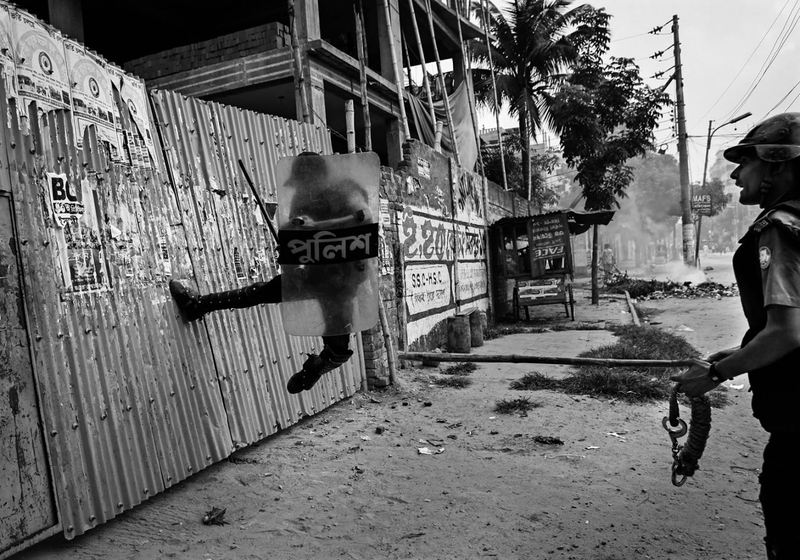 A policeman kicks the gate of a garment factory as they suspect protesters are hiding inside during a riot in Dhaka. Several hundreds of garment workers blocked the street and clashed with police demanding overtime wages and incremental increase of minimum wages to 5000 takas ($73), police said. The worker's current salary was less than 1,700 takas ($25) per month. 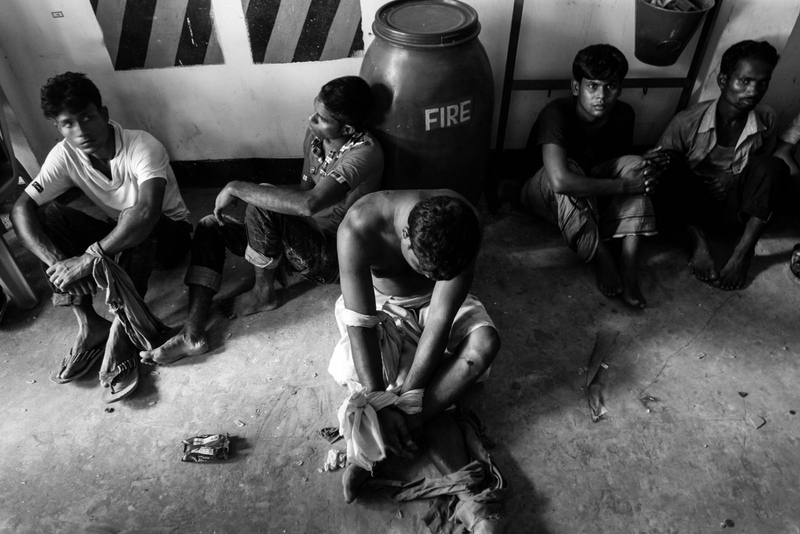 Workers, suspected of vandalizing a car, are seen after being captured and restrained by the security team of a garment factory in Savar. 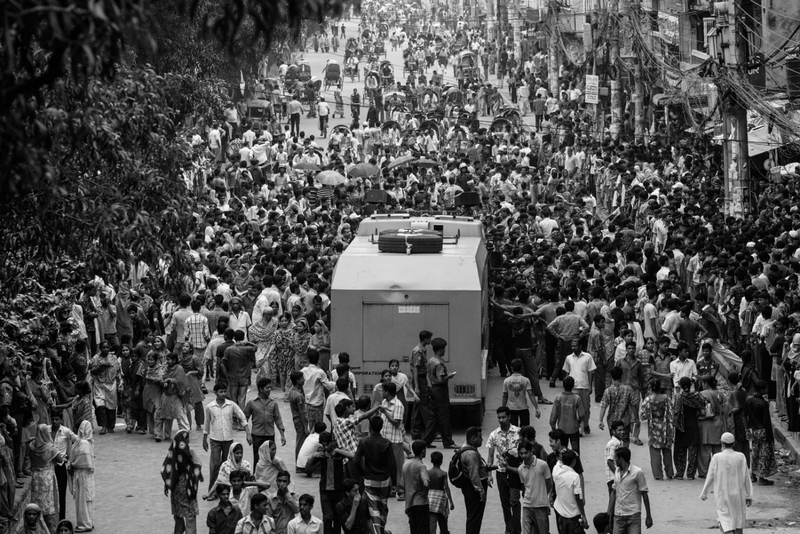 At least 100 people, including 10 police officials, were injured as police fired rubber bullets and tear gas during a clash with garment workers in Savar. Garment workers took to the streets to protest against the detention of a fellow worker from Hameem Group's Artistic Design Limited who was detained after he allegedly attacked an official of the group. 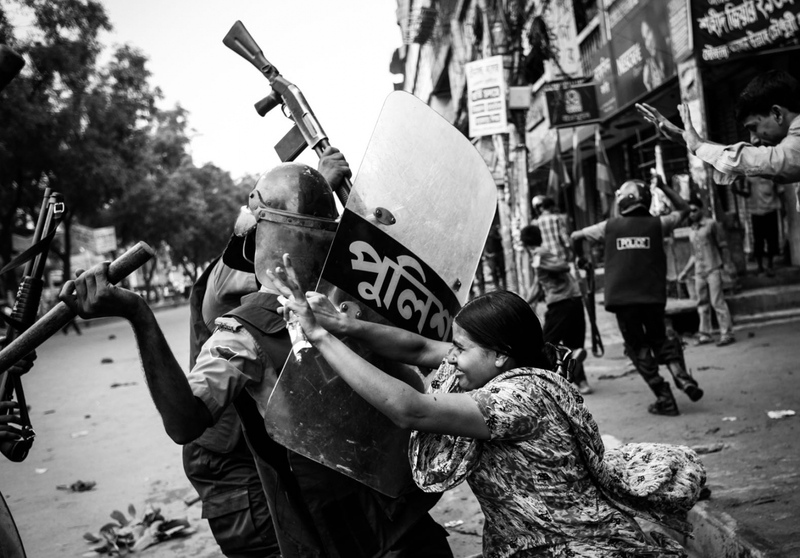 A police water canon takes position during a protest by the garment workers in Dhaka. More than fifty workers were injured as police charged baton and tear gas during a strike by the workers demanding a pay rise. 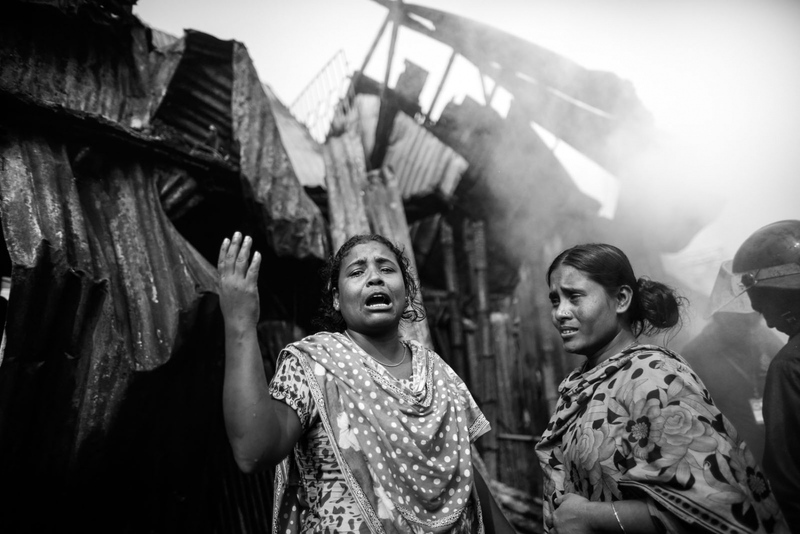 Garment workers cry after she lost all of her belongings in a fire at a slum at Modhubagh in Dhaka. A child was burnt alive and hundreds of shanties were gutted during the fire that originated from a cooking oven at a slum in the Modhubagh area of Dhaka. People rescue garment workers trapped under rubble at the Rana Plaza building after it collapsed, in Savar, 30 km (19 miles) outside Dhaka. 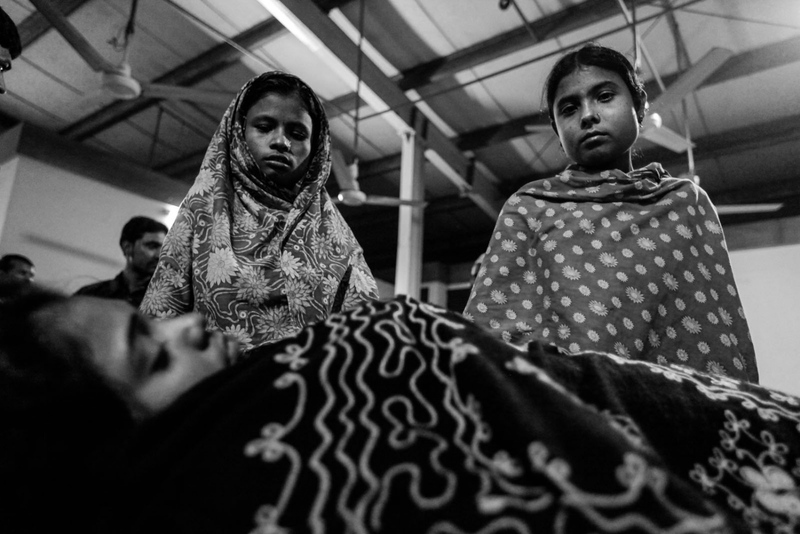 The April 24 collapse of the Rana Plaza complex, built on swampy ground outside Dhaka with several illegal floors, killed 1,132 workers and focused international attention on sometimes lax safety standards in Bangladesh's booming garment industry. 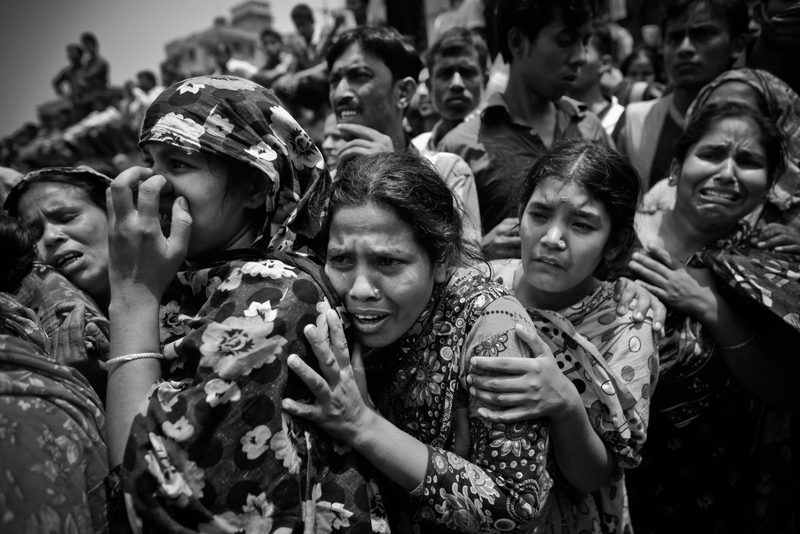 People mourn in front of the remains of their relatives, who died inside the rubble of the collapsed Rana Plaza building, in Savar, 30 km (19 miles) outside Dhaka. People try to identify their relatives, who died inside the rubble of the collapsed Rana Plaza building, in Savar, 30 km (19 miles) outside Dhaka. Two men sleep as they wait for news on their relative, a garment worker who is still missing after the collapse of the Rana Plaza building, in Savar, outside Dhaka. 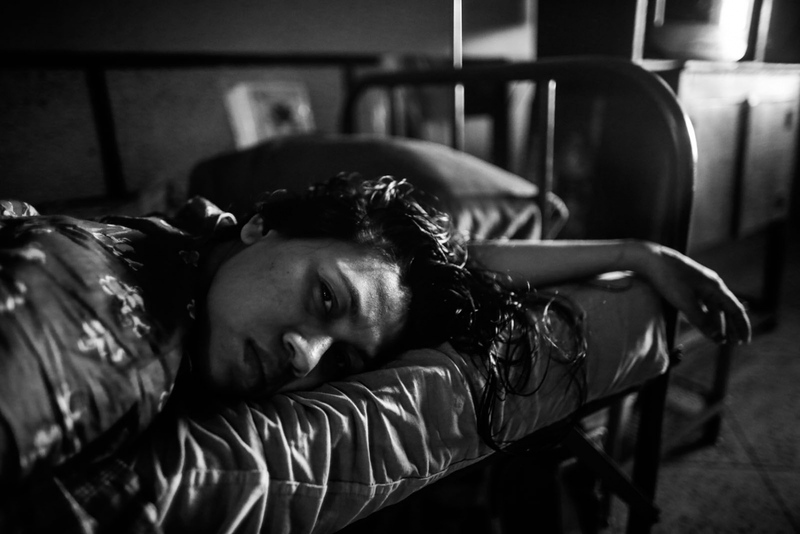 Jesmin, a 25-year-old survivor from the collapsed Rana Plaza Building, lies on a bed at the Centre for the Rehabilitation of the Paralysed (CRP) in Savar, Bangladesh. Jesmin suffers from a spinal injury and is waiting for surgery. 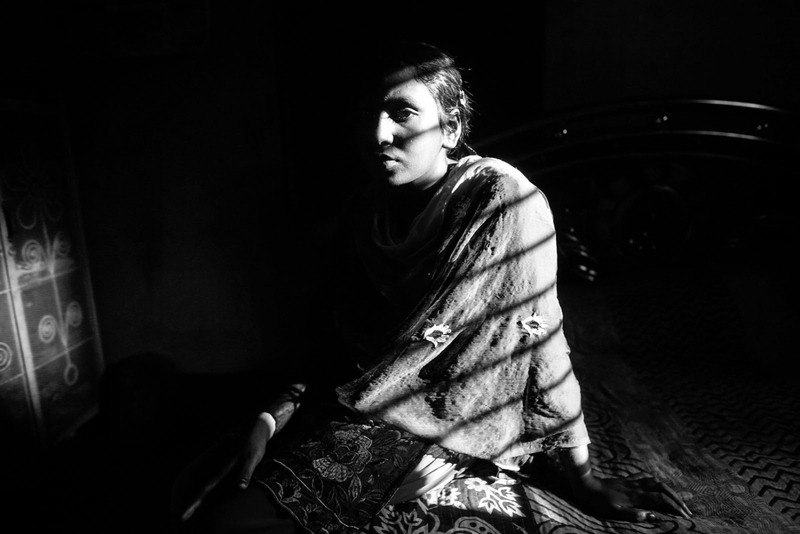 Shilpi, who was rescued from the rubble of the collapsed Rana Plaza building, stands inside the Centre for Rehabilitation of Paralysis (CRP) in Savar. 20-year-old seamstress Runi Akhter, a survivor of the rubble of collapsed Rana Plaza Building, stands in front of her slum house with relatives in Savar. 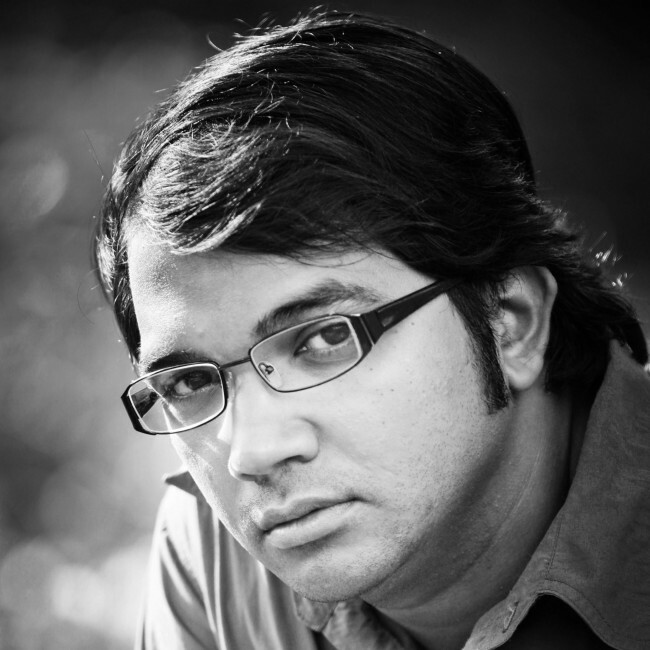 Akhter used to work in Phantom TAC Ltd garment factory in Rana Plaza. She is now unemployed and shares a two-room slum house with eight people, including her parents and two young children. Fear is all Rebecca has now. She lives her trauma over and over. 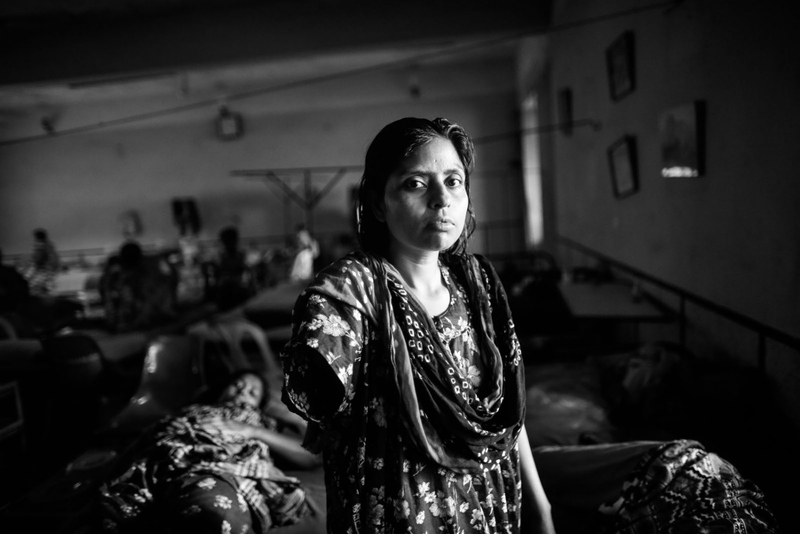 Rebecca was among those trapped under the rubble of Rana Plaza. Her husband Mustafiz tries to comfort her at the National Traumalogy and Orthopaedic Rehabilitation Centre. Colleagues stand beside Asma, a garment worker, who was injured in a devastating fire at Tazreen garment factory in Savar, outskirts of Dhaka. A fire swept through Tazreen Fashion factory in the Ashulia industrial belt of Dhaka, on the outskirts of Bangladesh's capital killing more than 100 people, in the country's worst ever factory blaze. 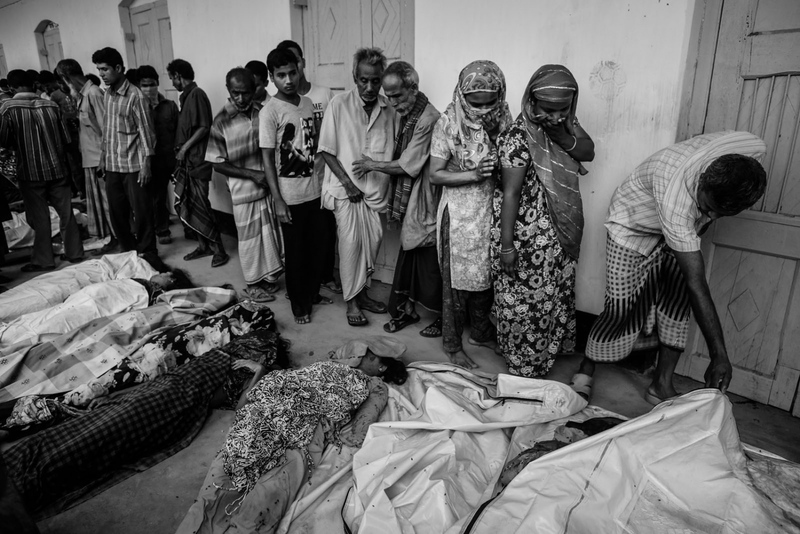 Relatives mourn the death of a garment worker after a fire occurred in a garment factory in Savar November. 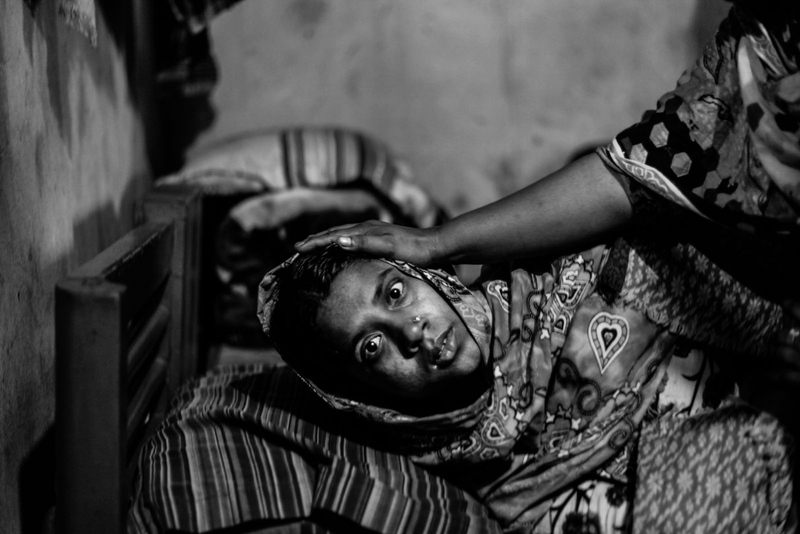 Tahera Begum, 25, who survived a devastating fire in a garment factory, lies inside her slum room in Savar. Begum, an operator of Tazreen Fashions garment factory, escaped the fire which killed more than 100 workers on November 24. According to Begum's husband, she became mentally ill and lost her memory after escaping the fire. Jotsna Akhter Ripa, 17, who was rescued from the rubble of the collapsed Rana Plaza building, sits inside her slum house in Savar. Ripa, who is unable to work due to a spinal injury sustained from the accident last year, says she has not received any compensation. 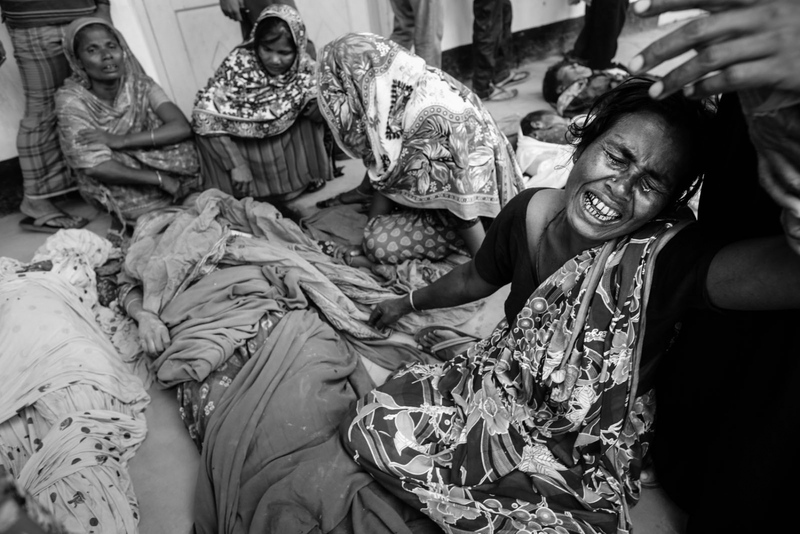 Survivors of the world's worst garment factory accident, struggle to rebuild their lives from the rubble of the Rana Plaza collapse as Bangladesh was about to mark the first anniversary of the disaster that killed more than 1,100 people. Survivors of the tragedy are still haunted by the memories of the fateful day. The efforts to compensate victims and inspect factories remain frustratingly slow and erratic. 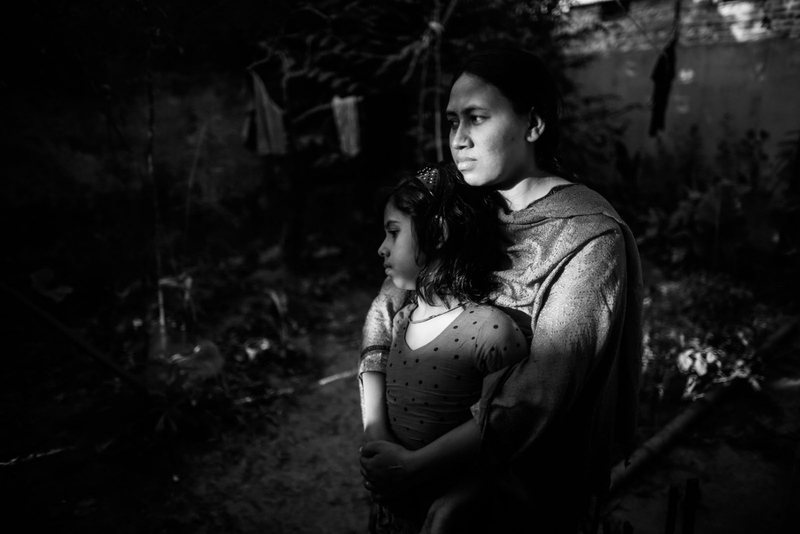 Jesmine Akhter, who was rescued from the rubble of the collapsed Rana Plaza building, stands in front of her slum house with her daughter Zarin, in Savar. Akhter is unable to work due to a spinal injury sustained from the accident last year. 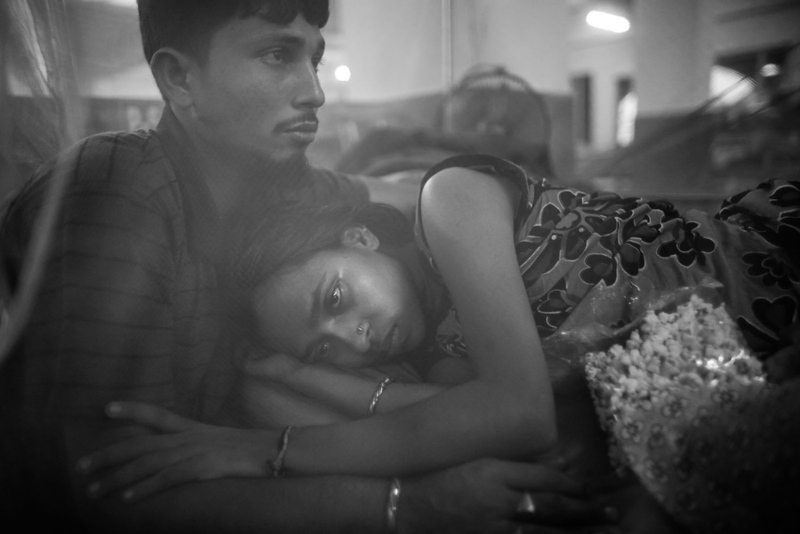 Survivors of the world's worst garment factory accident, struggle to rebuild their lives from the rubble of the Rana Plaza collapse as Bangladesh was about to mark the first anniversary of the disaster that killed more than 1,100 people. Survivors of the tragedy are still haunted by the memories of the fateful day. The efforts to compensate victims and inspect factories remain frustratingly slow and erratic. 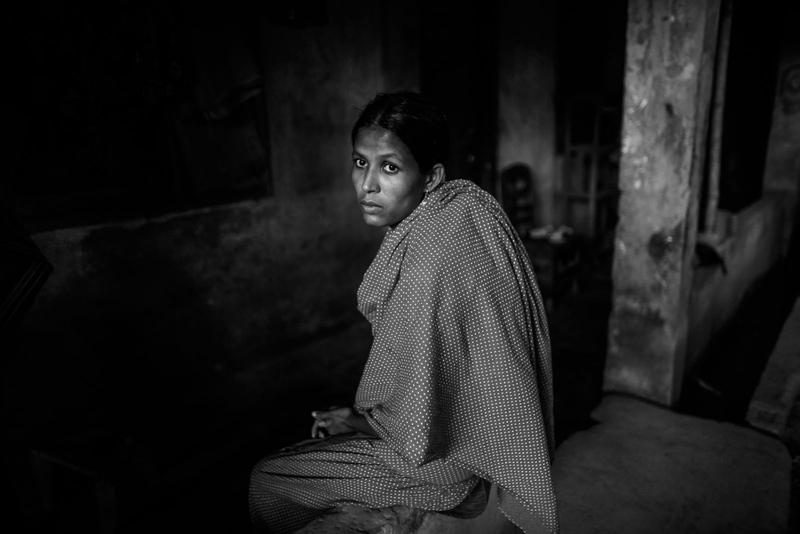 Salma, who was rescued from the rubble of the collapsed Rana Plaza building, sits inside her slum house in Savar. Salma, who is unable to work due to a spinal injury sustained from the accident last year, says she has not received any compensation. 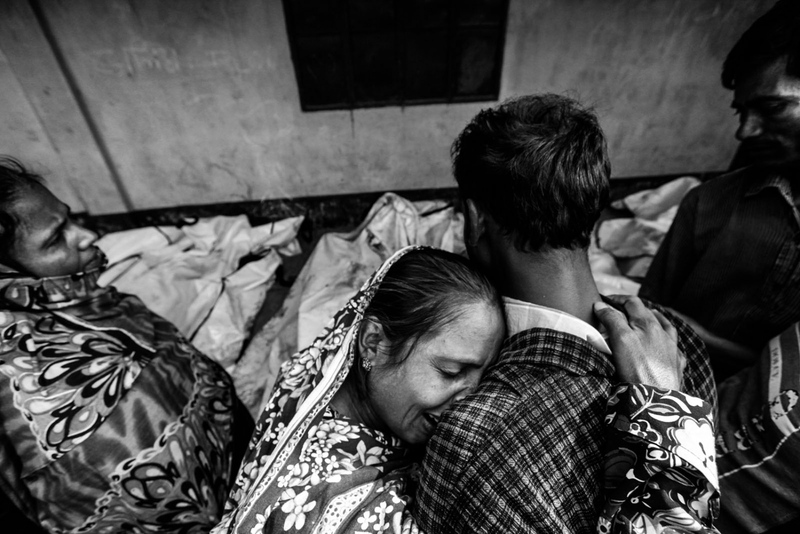 Survivors of the world's worst garment factory accident, struggle to rebuild their lives from the rubble of the Rana Plaza collapse as Bangladesh was about to mark the first anniversary of the disaster that killed more than 1,100 people. Survivors of the tragedy are still haunted by the memories of the fateful day. The efforts to compensate victims and inspect factories remain frustratingly slow and erratic. 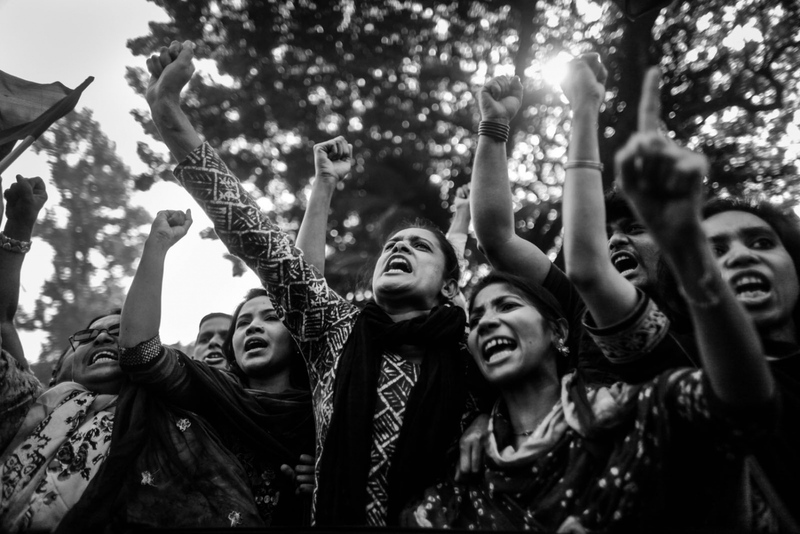 Garment workers and leaders shout slogans as they protest against the deaths of their colleagues after a devastating fire in a garment factory in Dhaka. 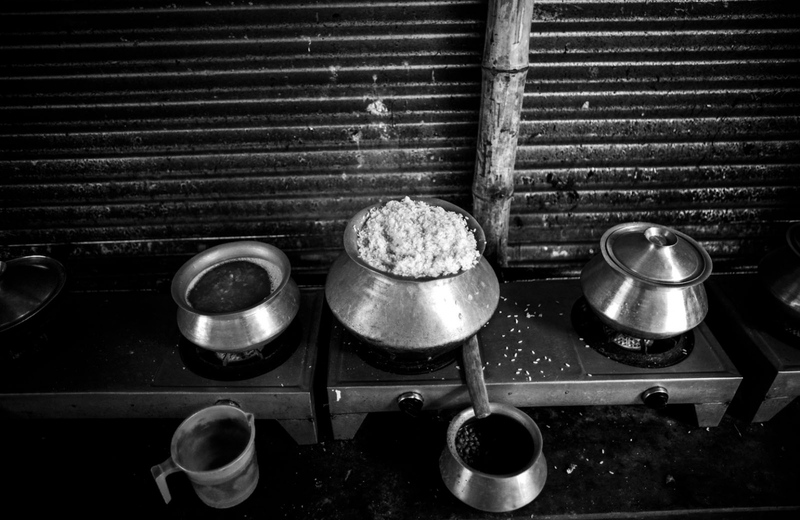 Rice has been prepared for lunch at a slum in Mirpur, Dhaka. 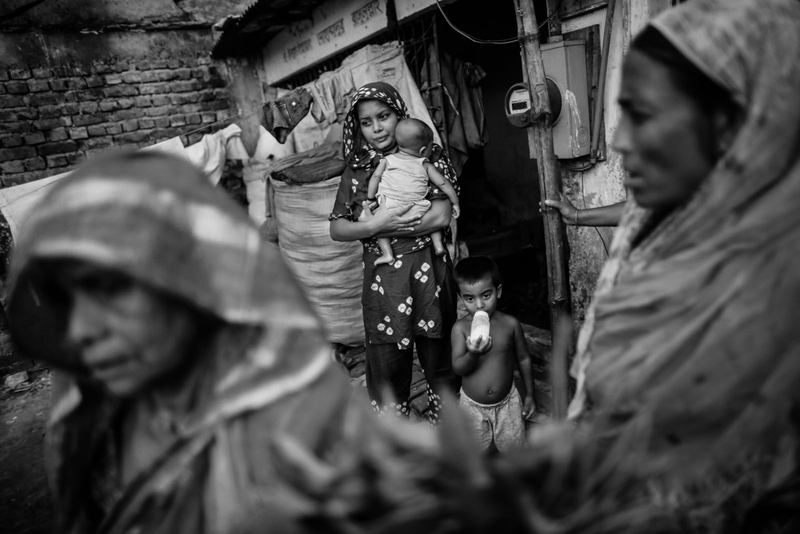 Most of the inhabitants of the slum are low-paid garment workers, migrated from the Different districts of the Bangladesh.